The first rule of thumb to remember while picking out a heat pump is the size of the room you are buying it for. You don’t want to get a heat pump that doesn’t have enough capacity to heat up a big room or get one that’s way too effective and consumes too much energy for a small room. 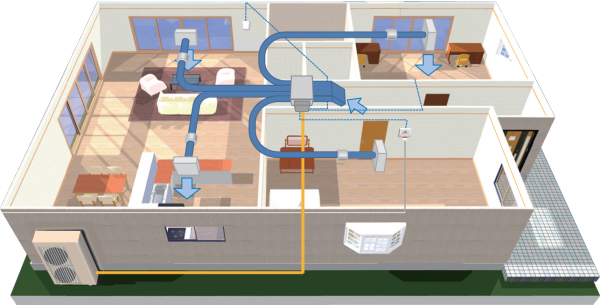 Here’s how you should decide the ideal capacity of heat pump for your room. If you have a small sized room, that’s about 16 square metres to 32 square metres and your home is fairly new and well insulated, your heat pump should be approximately 1.7KW to 2.0 KW of heating capacity for every 1KW of energy consumed. If your house is older and gets cold very quickly, it means that your house is not well insulated and you should choose a heat pump that has about 2.1 KW to 2.3 KW of heating capacity. In case you have a medium sized room, which measures to about 32 square metres to 54 square metres, you should get a heat pump that has a bigger capacity of about 3.5 KW to 3.8 KW of heating in your already insulated house. For a not-so-well-insulated house, you should pick something with a capacity of 4.2KW to 4.6 KW for every 1KW of energy consumed. If you have the master bedroom or a large lounge that is about 54 square metres – 60 square metres, you will need a 6.5KW to 7.2 KW of capacity in your heat pump to be able to reach all corners of your room. For a poorly insulated room, you should ideally get one with 7.9KW to 8.6 KW of heating. These suggestions are specifically for Dunedin’s weather keeping in mind the average lowest temperature of negative 3 degrees in winters. If you have a room that is larger or smaller than the average room sizes mentioned, you could seek advice from a heat pump retailer/installer who’d be able to guide you in the right direction. You know that feeling when you get out of your super warm lounge or bedroom to get a glass of water or go to the toilet and have to walk across a freezing hallway? The solution – Central heating systems! These systems are ducted throughout your home and are concealed. You can use this duct system to distribute hot or cool air where ever you want using flexible ducting, which means that your energy consumption would be within reason and entirely up to you. If you are keen on installing a heat pump in Dunedin for your home, you’ll first need to figure out how big your house is excluding the areas that probably don’t need heating, e.g. your garage, bathroom, toilets, wardrobes, etc. Keeping this in mind, if your home is a small and compact one or two bedroom that measures up to around 100-120 square metres, then you’d need a ducted heating system that runs at the capacity of 6.9KW of heating. However, the general recommendation of 7.0KW is for a well-insulated home. To be completely warm in a house that is older or poorly insulated, you’d need a central heating system of about 10KW of heating capacity. Alternately, if your home is a medium-sized three bedroom with maybe a study, it would approximately measure up to 120 square metres to 150 square metres. In this case, your central heating should be capable of 8.4KW of heating for every KW of energy consumed. If your house gets very cold in winters and is not insulated enough for Dunedin’s weather, then you should consider a heating system with a larger capacity of about 12 KW. If you and your family live in a beautiful and spacious 4 bedroom home with a study, playroom, etc, your house would most probably measure up to 150 square metres to 200 square metres. If you bought your home or rent one that was built recently, its most likely to be well insulated and you should be okay with a ducted system that runs on a 11.5 KW – 12KW of capacity. If your home was built years back, chances are, you’d need something along the lines of 16KW-17KW of heating capacity. If your house has more than 4 bedrooms or if you are looking to get detailed information for your heating system, your best bet would be to talk to a heat pump installation specialist, some of whom offer free on-site consultations and quotes. 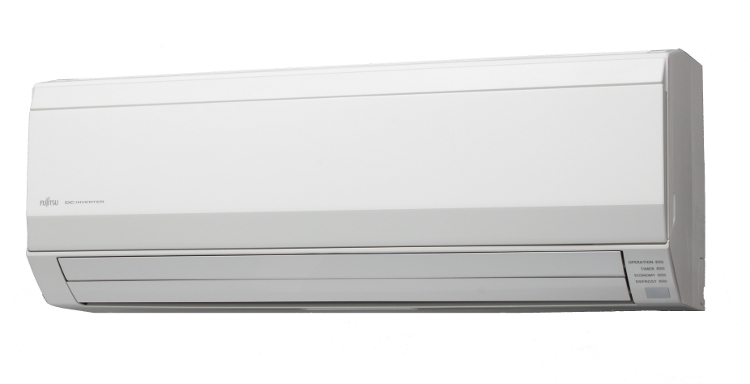 Hi-Wall heat pumps are installed high up on the wall and are compact in size, making them look discreet and elegant. These heat pumps are also family-friendly. With regards to functionality, they work very quickly and can heat or cool your room in just a few minutes with a simple remote that controls temperature and has heat/cool/fan options. 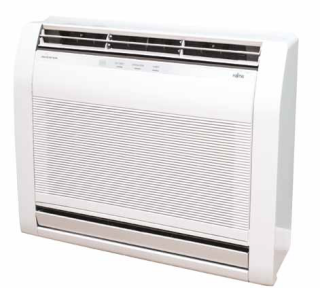 Hi-wall heat pumps are extremely economical and are available for as low as $2000 NZD. Floor Consoles heat pumps are installed at a low level and which makes them a good option for heating up the room at a level which you are in and they also heat up your floors to an extent since they are installed at a lower height. The only disadvantage to this is, if you have children around the house, you need to steer them clear of it. They are a bit more expensive than Hi-Wall Heat Pumps, so that’s because they are very effective in heating your room to a warmer temperature. These heat pumps are priced at about $3000 NZD. 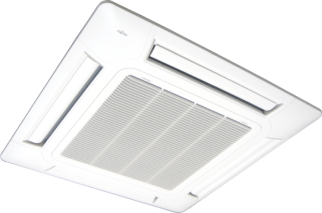 In-Ceiling Cassettes heat pumps are installed into your ceiling, so you can only see the outer part of the heat pump. These In-Ceiling Cassettes work extremely well in larger rooms and reach all corners of the room. They are quite commonly used in commercial building and are getting more popular in housing. Cassettes are more expensive than Hi-Wall and Floor Console Heat pumps. The central heating and cooling system is a great investment for your home. It keeps your home warm with an evenly maintained temperature and reaches all sections of your house, which can be controlled with a touch of a button. It also circulates fresh air throughout your home, so you are constantly breathing in fresh air despite your windows being shut. The ducted system is completely concealed, so you have no signs of the heat pump or wiring from outside. This is extremely safe, child friendly and makes your home look great. It’s always best to go with trusted brands that have in the market for quite some time like Fujitsu, even though they might be priced a bit higher than a brand with unknown reputation. Heat pumps or central heating is a large investment for your home and you want to make sure that you are buying something that comes with a warranty and good servicing. 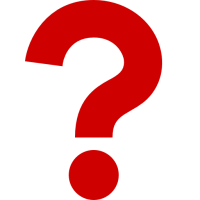 So, make sure that you find a heat pump specialist, who provides you with a consultation, advice, installation, warranty and servicing. There are many offers out there for heat pumps, so keep an eye out for good prices. For example, check out McClelland Refrigeration for some great offers on heat pumps in Dunedin. If you are investing in a heat system, you want to ensure that it lasts you for a long time. To keep your heating system functioning properly, you need to take care of it properly. Generally, heat pumps don’t require a lot of maintenance, but its always good to clear the air filters and clean them every now and then. Make sure to check the outer side of the heat pump installation once in a while and keep that clean too. Lastly, get your heat pumps serviced every now and then, based on your retailers’ guidance from an expert. Don’t try to do this yourself!